On April 6, 2012, the Oregon Commission on Hispanic Affairs wrote a letter to Governor John Kitzhaber expressing support for his courageous declaration of a moratorium to stop all executions in Oregon. The commission wrote the following letter to Governor Kitzhaber expressing gratitude for the courage for the decision and the reasons such a moratorium is important. The Oregon Commission on Hispanic Affairs has a mission to work toward economic, social, political, and legal equality for Oregon’s Hispanic population. As part of fulfilling that mission, the commissioners have voted to express our gratitude, respect, and admiration for your courageous declaration of a moratorium to stop all executions in Oregon. 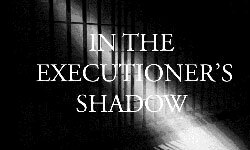 There are many issues surrounding the death penalty and two that stand out in consideration of our support for your stated position. Our mission to “work toward economic, social, political, and legal equality” places us totally at odds with the death penalty. The fact that the citizens of Oregon are spending in excess of $20 million annually to maintain a failed public policy requires we join you in opposition to state-sanctioned killings. If a public policy is designed to provide a positive outcome that is good and valuable for the citizens of the State, having a death penalty is a “failed public policy.” No benefit is derived and the money spent to maintain a flawed policy takes away from other programs that do provide documented benefits to all the residents of our State. Second, the death penalty is demonstrably biased against the poor and people of color. Study after study has pointed out that race and ethnicity have great influence on the outcome of sentencing in death penalty cases. The scales of justice are out of balance when it comes to the death penalty. Hispanics, along with other people of color in Oregon, are disproportionately affected by any bias in the administration of justice. By unanimous vote of the Commission (OCHA Vice-Chair John Haroldson, DISTRICT ATTORNEY of Benton County, abstaining), the Oregon Commission on Hispanic Affairs applauds your action as we commit ourselves to participate in the “long overdue debate that this important issue deserves.” You have our respect for your conviction, courage, and moral suasion.